Dorset Mind has announced today that it has received an additional £5,000 grant from local Rotary Clubs. 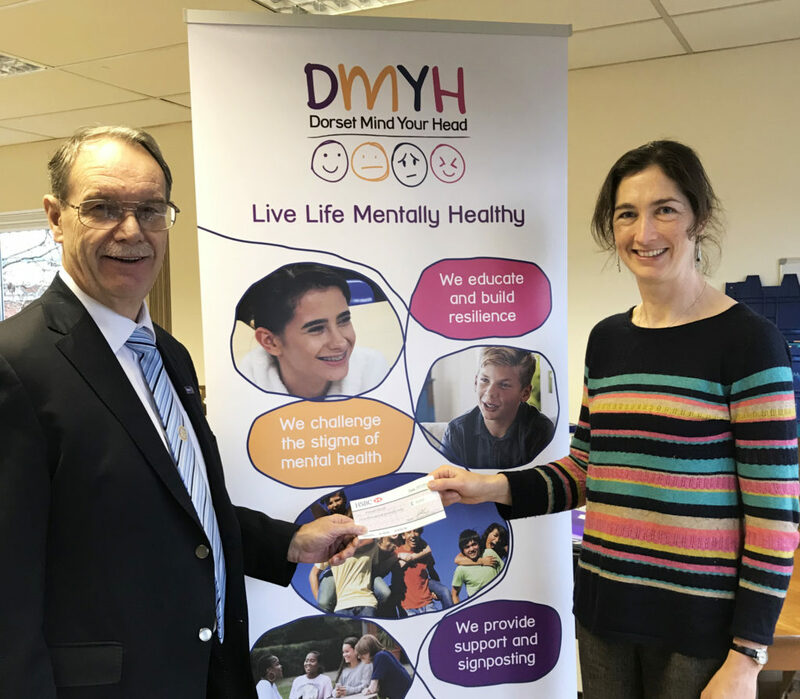 This will help provide essential services as part of its hugely successful ‘Dorset Mind Your Head’ mental health programme that supports young people, their parents and teachers across Dorset. Over the past 12 months, the Dorset Mind Your Head programme has provided over 140 sessions at twenty schools, and has reached over 12,000 children and young people, and their parents and teachers. Dorset Mind Your Head offers a comprehensive programme of services. These include workshops, PSHE lessons, staff training and assemblies, as well as one –to-one support sessions, peer mentoring and parent tea and talk sessions. It also delivers a dedicated support group to help young people who are at risk of non-attendance. In addition, mental health drop-in support groups, one-one counselling, a young ambassador programme and one-to-one befriending complement the programme. Dorset Mind Your Head is actively seeking for new inspiring people to join their team. Current vacancies include support group co-ordinators, befrienders and volunteers. For more information about our full portfolio of services across Dorset and how to get involved with Dorset Mind Your Head, please visit www.dorsetmindyourhead.co.uk. Whether you are a young person looking for information about mental health, or you are a parent or teacher that wants to know more, we can help you. Alternately, please email dmyh@dorsetmind.uk.